The posts are repoussée starred buttons and the free-swinging drops are Four Directions conchas. The stamping is busy and meticulous. 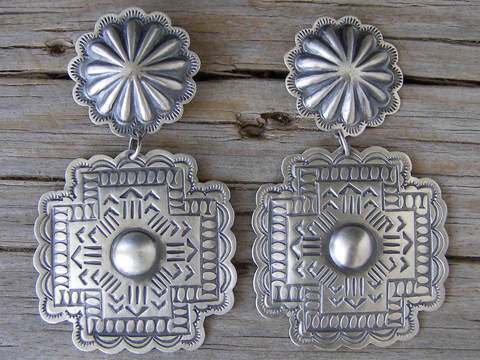 These are large, but they are made from light gauge Sterling so they don't weigh too much. Classic! Four Directions concha drops: 1 1/2" x 1 1/2"